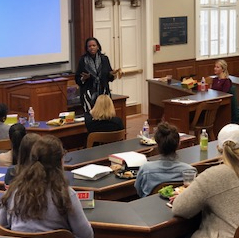 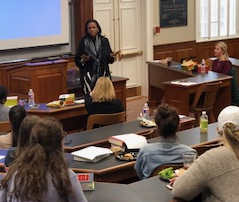 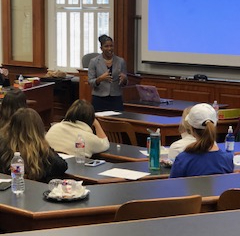 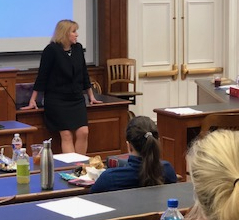 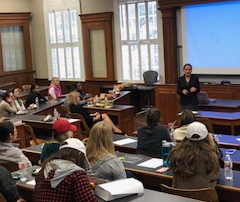 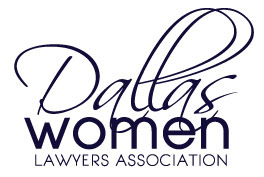 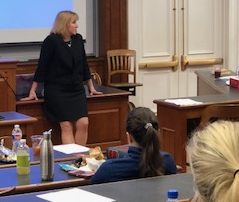 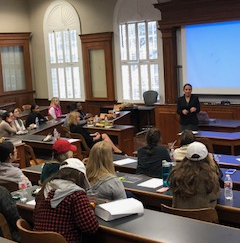 On February 15th, DWLA presented “How I Got Here” to approximately 50 female law students at SMU Dedman School of Law. 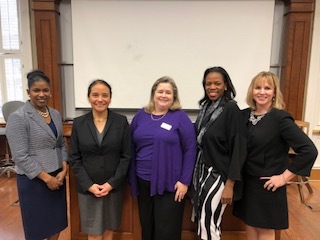 DWLA’s four woman panel included Judge Dennise Garcia (303rd Judicial District Court), Altresha Burchett-Williams (Sr. Legal Counsel, AT&T), Gemma Descoteaux (Shareholder, Polsinelli) and Audrey Moorehead (Of Counsel, Kastl Law). 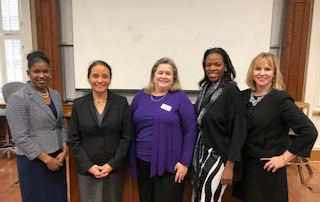 Each panelist spoke eloquently about her path to and through the legal profession to their current position, often evoking laughter from the rapt audience. 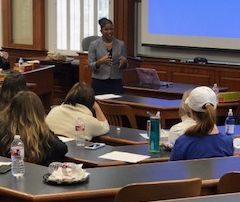 Many students approached the panelists afterwards to ask questions and thank them for coming.